Joseph Duveen, "the most spectacular art dealer of all time", sold this beautiful cabinet to Clarence H. Mackay, c.1918, as a genuine French Renaissance cabinet. 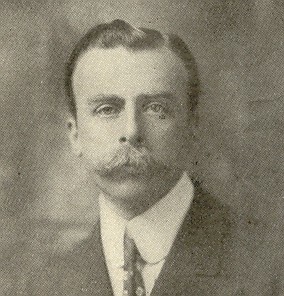 Clarence Mackay, as a leading art collector of his day, bought the cabinet for the staggering sum (in 1918) of $46,640. But W.R. Valentiner, one of the most highly regarded art historians of the early 20th century, "didn't like the cabinet" and it was subsequently dismissed for many years as a probable 19th century fake. Click here for cross-reference on this website. 10 ft. 1 1/8 in. x 5 ft. 3/8 in. x 1 ft. 10 1/2 in. 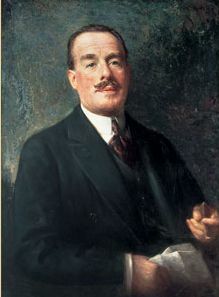 Mr. Mackay's dilemma In June 1924: Who could prove if the cabinet was genuine or fake? 1. He was preparing Harbor Hill for a visit in less than 90 days of the most prestigeous guest anyone on Long Island had ever entertained, "England's wildly popular Prince of Wales." Click here for details of this gala event. 2. His world-class art collection had to be perfect for a visit by the future King of England and his 1,200 other influential and highly discriminating guests. 3. Mr. Valentiner was in the process of formulating his professional evaluation of a large portion of the Mackay art collection for a collector's catalogue soon to be published. Valentiner informed Mackay that the cabinet would not be included in the catalogue. 4. Mackay knew he could trade the cabinet back to Joseph Duveen for several other spectacular works of art that he coveted for his collection. Mackay's decision in 1924: "Mr. Duveen, Take the cabinet back and credit my account." In September 1924, Joseph Duveen took the cabinet back under protest. Sadly for him, not only did he lose this sale but the value of the cabinet was ruined for future resale. The cabinet now had been rejected as a fake. But wait, there is a surprise ending to this story involving both J. Paul Getty in 1971 and the J. Paul Getty Museum in Los Angeles in 2001. This fascinating story has been expertly detailed by Jack Hinton, Mellon Curatorial Fellow of European Decorative Arts and Sculpture, Philadelphia Museum of Art and Arlen Heginbotham, Associate Conservator at the J. Paul Getty Museum of Los Angeles in the June 2006 issue of Burlington Magazine. 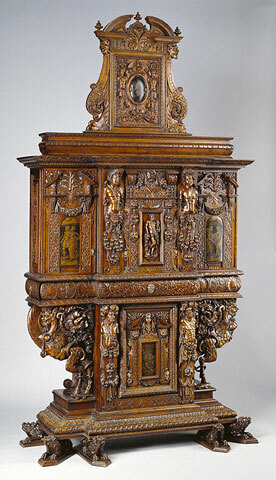 The article is titled, "Rediscovering a sixteenth-century Burgundian cabinet at the J. Paul Getty Museum". View the online exhibition of the cabinet at this link (www.getty.edu/art/exhibitions/cabinet) to discover the truth about the cabinet that Clarence H. Mackay and W.R. Valentiner never knew. Special thanks go to Catherine Hess, Associate Curator of Sculpture and Decorative Arts, at the J. Paul Getty Museum for calling my attention to this very special story. It highlights an ironic incident in Clarence Mackay's art collecting years and brings the reader right up to date regarding latest techniques used to scientifically determine the background of historically important antique furniture. I also thank Mr. Lawrence Steigrad of the Lawrence Steigrad Fine Arts gallery in New York City for graciously permitting my use of the image of Joseph Duveen at the top of this page.